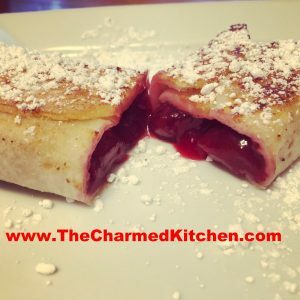 With cherries in season, I have been using them in all sorts of dishes. 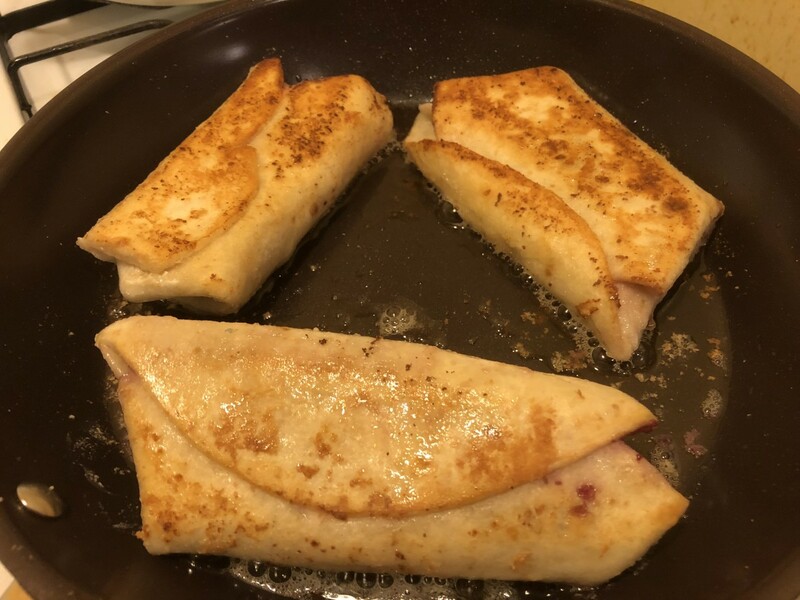 I think these blintzes are one of my favorites. They make a great dessert. I just dusted them with powdered sugar, but you can also top them with ice cream or whipped cream. They remind me a warm cherry pie. 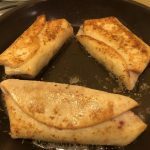 Blintzes also make a great breakfast or brunch dish. I didn’t use a lot of sugar in my pie filling because I was using sweet cherries. I also think with the powdered sugar on top, they are sweet enough. Adjust the sugar in the recipe to suit your own taste. If using tart cherries, you will want to add a little more sugar. They are easy to make, too. We made them in cooking camp this week and the kids loved them. These are not traditional blintzes. The secret is that the blintzes are made with flour tortillas instead of traditional crepes. I love the texture flour tortillas take on when softened in milk. They really work well, and with a fraction of the work of making crepes. So here is the recipe. I think you will love them as much as I do. Place cherries in a saucepan with 1 cup of the water, sugar and the salt. Bring to a simmer. 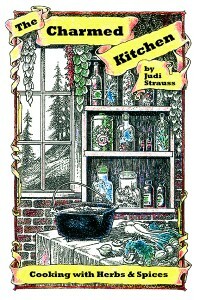 Mix cornstarch with the ½ cup of water and add to the cherry mixture, cooking until just thickened. Cool. Makes about 4 cups. Make the pie filling ahead of time, so it is cooled down. Place the tortillas in a shallow pan and pour milk over them. Turn them to make sure they all get covered in the milk. Let the tortillas soften for 5-10 minutes. Place a tortilla on a flat surface and spoon about ½ cup of the pie filling in the middle. Fold sides in until they almost touch in the middle. Roll up from the bottom to form a little bundle. Repeat with remaining tortillas and filling. Heat butter in saucepan over medium heat and brown the blintzes, turning over as needed to brown on both sides. Start them off seam side down, to keep them from popping open. Place on serving dish and dust with powdered sugar. Serve warm. Makes 8-10.